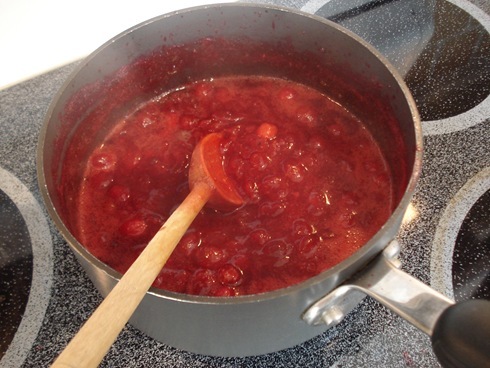 Here’s the 2008 version of my homemade cranberry sauce. I replaced last year’s Splenda with a more natural brown sugar. Just a warning, I make it pretty tart to keep the sugar low so if you like yours sweet, you’ll want to double or triple the sugar! 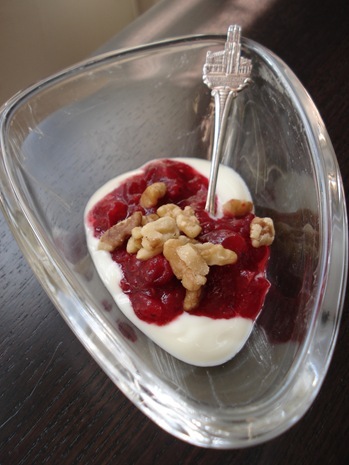 Serve this over yogurt (the best way! ), stirred into oatmeal or just plain with granola on top. Seasonings to taste: cinnamon, vanilla, cloves, etc. 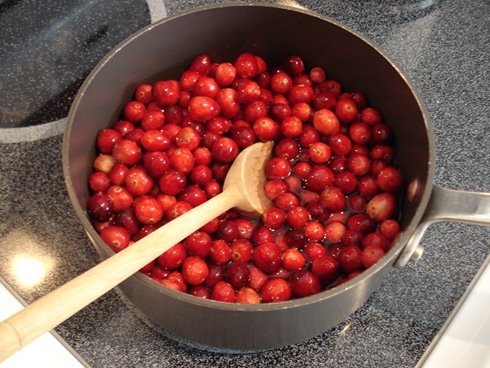 Combine water, berries + brown sugar in a medium pot. Turn heat to medium high and bring to a boil. Once boiling (it took me about 10 minutes to reach this point), reduce heat to medium and change to a light boil. Cover to avoid splattering. 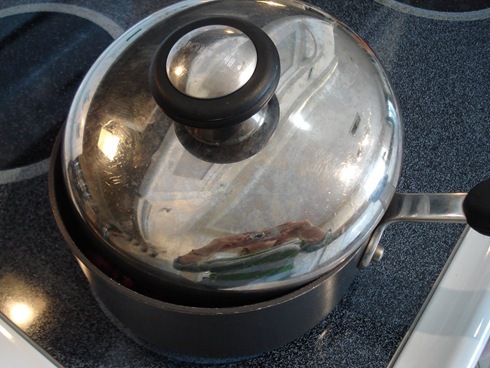 WATCH POT because may boil over!!!!!!! 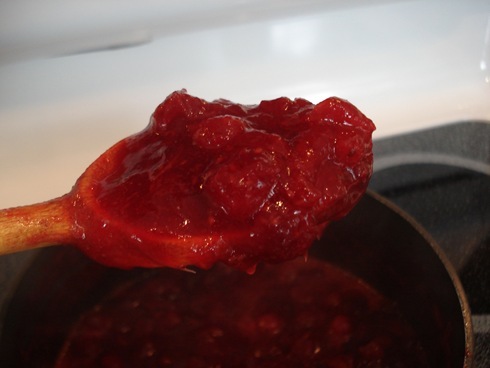 Remove lid and stir every 5-8 minutes to keep from sticking to the bottom. Simmer for about 20 minutes until sauce has thickened. Stir in seasonings in the last few minutes of cooking. Thickened consistency. At this point, remove from heat and let cool. Sauce should thicken a bit more. Makes about 2.25 cups. Each quarter cup serving is about 40 kcal with 2 grams of fiber.